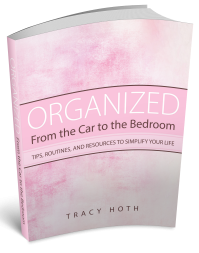 Simplify and organize your life. 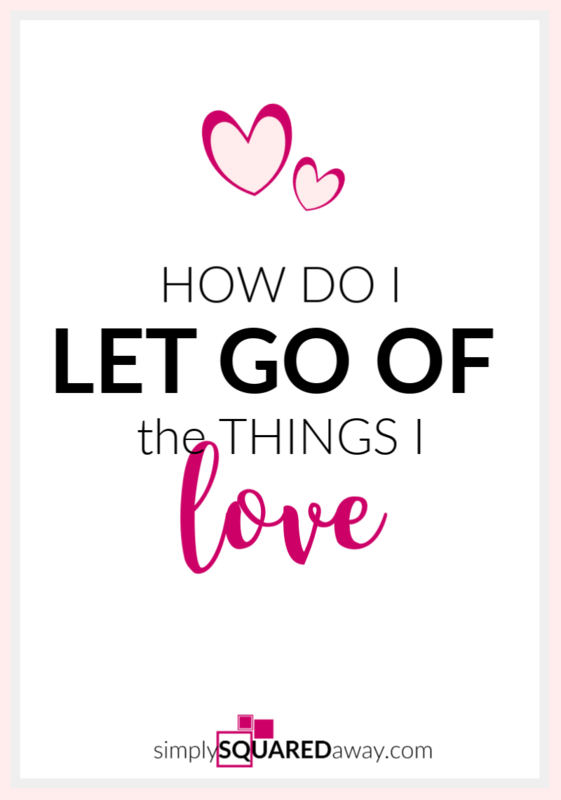 How do I let go of the things I love? Maybe you’re thinking thoughts like this: I really love everything. It’s all special. It all has memories attached that are meaningful. I don’t want to let go of anything. First, I wouldn’t get rid of things you genuinely love and use and treasure. Are you genuinely loving, using and treasuring everything you own? Do you really love that old brass lamp with holes in the shade? I’m not asking if you love what you imagine it could become. I’m asking if you love the scratched, broken lamp. Are you treating the things you love as if you really love them? Are the things you love stuck in a box? Covered in dust? Stuffed in the back of a cabinet or trunk? Stuck on a shelf in the basement? If so, is that how you take care of things you genuinely love? Let’s say you have a quilt. If you genuinely loved it, could you display it? Could you get a quilt ladder? Could you use it on the guest bed? If you have a piece of art, could you frame it and hang in a special place? As you are going through your things, stop and ask if it brings you happiness NOW? We know it may have brought you happiness back then, or the memory of it makes you happy but NOW it might be a burden. You’ll have to spend time and money treasuring it (framing, displaying or storing it) and you’d rather do something else with your time and money and space. Really. It is okay to let go of something that has amazing memories from the past. You won’t lose the memories. Does this item make the top 10? If you had to pick ten of your most special things in your home (or of your memorabilia) does this item make the list? Keeping everything that’s remotely special makes nothing really special. When we say everything is special, it makes everything equal…and nothing special. What is the trade-off between keeping the special item verses the “weight” of clutter? 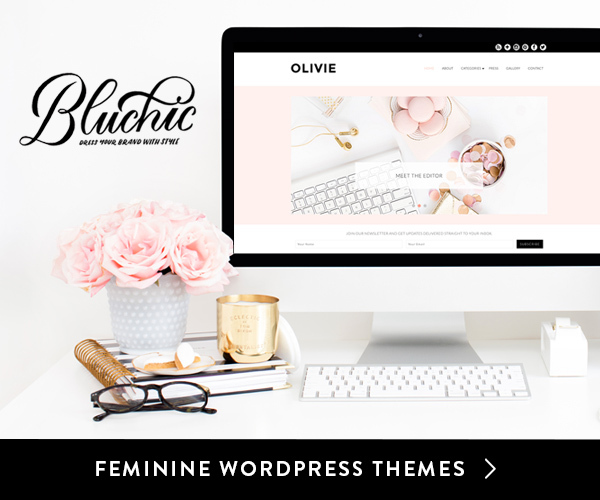 Imagine your life without clutter. Imagine your home, walking in, and seeing just the things you love. What’s missing in you imagining this great life, is that heavy weight – those thoughts – that you need to get organized, downsize, go through piles, organize, figure things out, find what you need, etc. Imagine just walking into a beautiful space and not having to feel that burden, those thoughts. Look at it differently. What would it be like to let go? Imagine the freedom of it. Just sit there, close your eyes for a second, and imagine opening up your fists. Loosening your grip. It might feel scary. Just relax into it. Take a deep breath. What if after the scary went away it felt loose and welcoming? Instead of hoarding an item you aren’t even treasuring, you can bless someone else with it right now. Instead of holding on to past memories and the things you associate with them, you can let go and make room for opportunities in the future. Make room for future special things. Current special interests. Things that make you really excited now. Make a decision and don’t look back. Of course, if you sit and think over and over that you made the wrong decision you are not going to enjoy the process. You are going to wish things were different. So when you make the decision to let it go, decide now that you will honor yourself. You won’t second guess your decision. You won’t spend another minute on it. Done. You decided and you are moving on. Who decides if you feel regret or joy from letting something go? You do. It’s your thoughts that create how you feel. But, if you decide and don’t look back, don’t question your decision, don’t worry about what might happen…you’ll be fine. Do this by spending more time enjoying the present and imagining the possibility of the future (without clutter) and less time on the memories of the past. 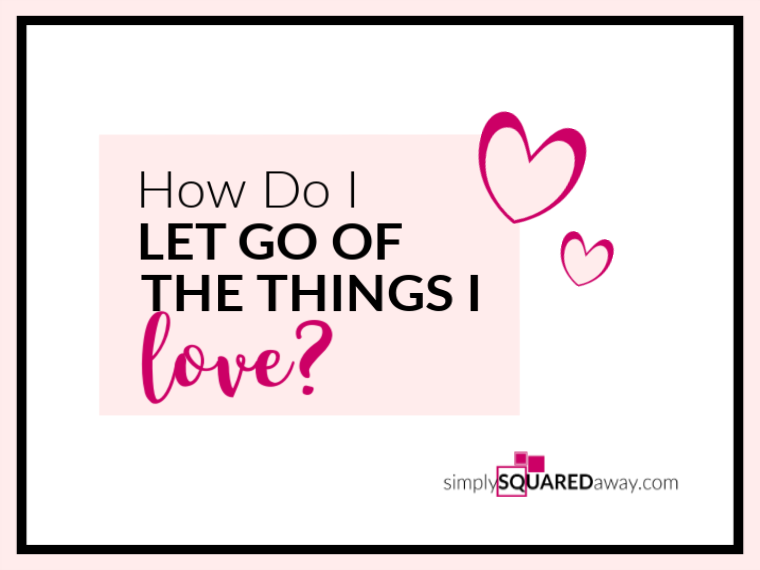 If you have a really hard time letting go and are ready to declutter and loosen your grip but can’t seem to get started, jump on a call with me and we can talk about it. For free! Click here to schedule. Hello! Before I had children I saved pictures of organized closets in a hanging file. 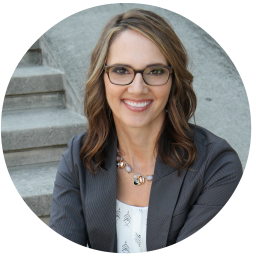 I knew that one day I wanted to help people simplify their lives and organize their spaces. Download my speaker one sheet.